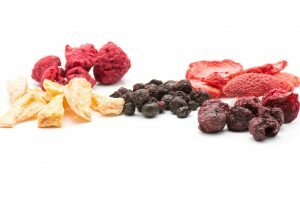 Food dehydrating is a convenient way to prepare dried foods. You can make your own jerky, trail mix, fruit snacks, chips, and much more. The Nesco American Harvest Dehydrator is a top-selling food dehydrator. It is also one of the most affordable options. However, before purchasing this device, you may want to know how well it works. 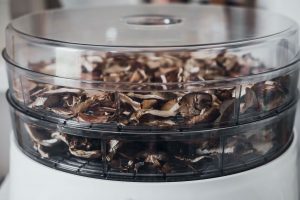 Here is a closer look at this popular food dehydrator and a few tips on how to use it to prepare great-tasting snacks. What Is the Nesco American Harvest Dehydrator? The Nesco American Harvest Dehydrator is a compact four-tray food dehydrator. It is a simple appliance that anyone can safely use to dry fruits, vegetables, and other foods. 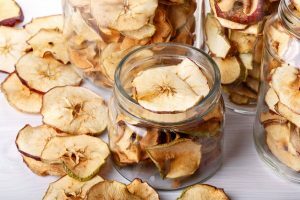 If you have never used a food dehydrator, the dehydration process is relatively easy to understand. The Nesco food dehydrator includes multiple trays. The trays stack on top of each other, which is the standard design for most food dehydrators. A heat source and a fan are located at the bottom or top of the appliance. With the Nesco dehydrator, the fan is attached to the top. The dehydrator does not produce a lot of heat. The dehydration process requires low heat for a long period to slowly dry out the food. Depending on the food that you are preparing, you may need to wait half a day or longer for the food to finish dehydrating. Why would you want to dehydrate food? Besides creating tasty treats, you may enjoy some of the other benefits of food dehydrating. When you dehydrate food, you remove up to 75% of the moisture. This increases the shelf life of the foods, allowing you to preserve food for longer. Food dehydrating may also save you money. You can make your own banana chips, trail mix, and other foods at a fraction of the price compared to store-bought alternatives. 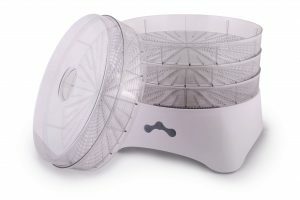 The four-tray digital food dehydrator is incredibly easy to use. Each circular tray offers close to 13 inches of drying space. You have plenty of room for preparing a variety of snacks and dehydrated treats. The detachable trays stack on top of each other, allowing you to use fewer trays. You can even purchase additional trays to expand the overall capacity of the dehydrator. When you are done arranging the food, you simply attach the lid and turn the unit on. 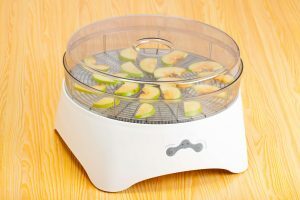 The Nesco American Harvest Dehydrator is a top-mounted dehydrator, which means the heat comes from the top of the appliance. It uses fan-flow technology to help evenly distribute the heat without requiring the trays to rotate. 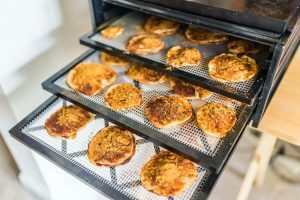 A food dehydrator is not a complicated appliance. 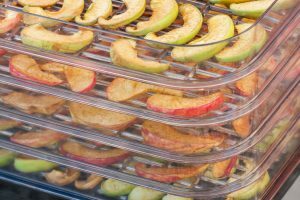 Most dehydrators include multiple trays that you lay your food on. When you turn on the dehydrator, it delivers low heat for a prolonged amount of time to slowly dry out the food. However, the Nesco American Harvest Dehydrator includes a few features that help make it one of the top choices. The lid and the individual trays are easily detachable, allowing you to rinse them after every use. They are also dishwasher safe. Thanks to these features, keeping the dehydrator clean is quick and simple. You will have a hard time finding complaints related to this dehydrator. It does not have any disadvantages. You are getting a basic appliance that works as described in the product description. As with any product, there are occasional defects. However, you should have no problem returning a defective unit for a replacement and the chances of getting two defective units in a row are incredibly slim. The first tip for preparing food with your dehydrator is to acquire fresh food to dehydrate. The best source of fresh food is your own backyard. You just need to start a backyard garden. 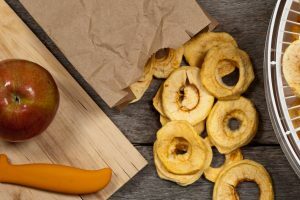 With your own garden, you can grow fresh carrots, onions, mushrooms, green beans, and other vegetables that you can use in your food dehydrator. You can also ensure that you do not let the food from your garden get wasted. Most fruits and vegetables need to be cut before placing them on the food dehydrator trays. When cutting fruit, you may want to try cutting them into slices and cutting them into rings. You can see which option you prefer. Just make sure that you place them on different trays. You should also wash vegetables before placing them on the dehydrator. Do not worry if they are still a little wet, as the dehydrator will take care of the excess moisture. After you finish preparing your food, you should store the dehydrated food in bags or containers. However, ensure that you allow the food to completely cool before storing, as the condensation may spoil the food. As a final tip, you should experiment with a variety of foods. You can use almost any dried or frozen produce or herbs that you find in the grocery store. Fill up your food dehydrator with different foods, search for recipes, and continue to discover new ways to prepare food with your appliance. The Nesco American Harvest Dehydrator is one of the top-selling food dehydrators available. It is affordable, easy to operate, and reliable. While there are food dehydrators with temperature control and timers, you do not need these electronic features. These conveniences simply increase the price of the appliance. In the end, the food dehydrator from Nesco offers everything that you need for food dehydrating. You can even purchase more trays to increase the capacity. If you are new to food dehydrating, the Nesco dehydrator is a great introduction. 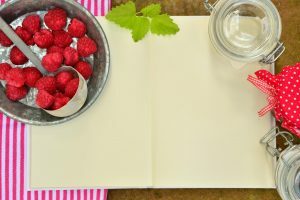 Due to the low cost of the appliance, you can start dehydrating food without spending a lot of money. Want to know more about which is the best dehydrator for your dehydrating needs? 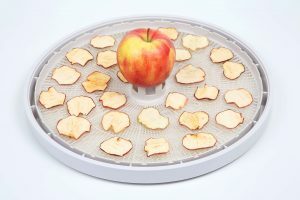 Check out the best dehydrators here!